All lessons are private, indoors, & completely customized for your fitness, learning style & goals. Learn inside. Excel on the mountain. I was shocked that after a few half-hour lessons that felt like goofing off on a giant arcade game, I showed up on a mountain and could snowboard. I trained on the Endless Slope in preparation for a 10 day ski trip to Europe. Not only was it fantastic ski conditioning - "pre-ischishtica", it advanced my form and control of my skis in a significant way. After just two sessions, I went out on the snow and was actually carving turns down intermediate/advanced runs that would have freaked me out last season. So I went to Tahoe in early Jan and I did AWESOME on the mountain, snow boarding, my first time. all thanks to the endless slope!! I did two green runs and then was ready for blues for the rest of day. so amazing!! The Endless Slope is Accelerated Learning for snowboarding and skiing. Lessons are private, indoors, and completely customized for your fitness, learning-style and goals. Your progress will be faster, more fun & feel more natural than lessons on the mountain, and they’re a better value too. Faster. Your Instructor is inches from your body; we can direct your knees a millimeter over or a nanosecond sooner to give you a carve you can feel, control & retain. More effective. We see how your body works up close, so we build on strengths and fix issues quickly—giving you a mountain style perfect for your body and mindset. Stronger. You’ll get in condition faster, build a foundation for life-long improvement, and also learn a bag of tricks you can use on the snow for all conditions. Everyone starts with the FastStart – whatever your level. Then choose your package. Family / Groups of 3-4. Families or Groups (FGs) start with a 2-hour FastStart, giving each person at least a half-hour lesson. Then all FG packages are priced at a 25% discount…because it’s not easy getting a group together. Prices are for a group of 4, but we’ll pro-rate if you’re 3 people. All FG members must come together at the same lesson time. FG lessons are 2 hours for 4 members, or 1 1/2 hours for 3 members. Kids. For kids age 3-10. You don’t need to bring anything! (Except you and/or your kids). 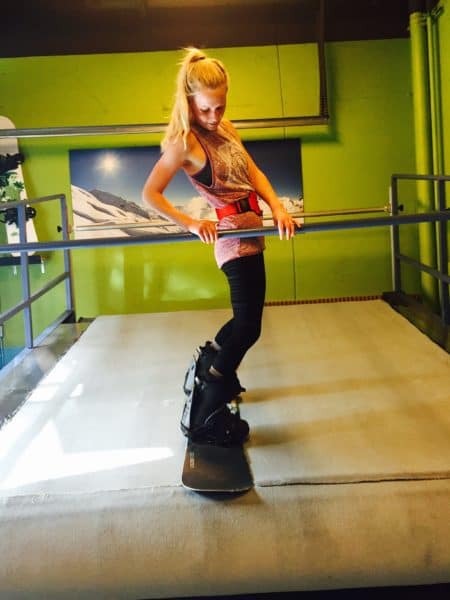 Everything is included with your lesson: boots, boards & skis in all sizes. Yes! We have parking right in front of our Sports Studio, available for our clients during their lessons. Of course, everyone is different. On average, the 4-pack will give you solid skills on beginner slopes and momentum for fast improvement. The 8-pack will have you on intermediate trails your 1st day on the snow. And the 12-pack will get you started on easier expert runs after a ramp-up of one to two days. BUT, we recommend you keep it simple. Just sign up for the FastStart, discuss your goals and get advice from your Instructor. We don’t push packages…we push personalized progress so you can make ambitious goals! How quickly do I have to use my package? You’ll make the fastest progress coming 2x per week, although most people do once weekly. Can I bring a friend? What if he skies & I board? We do lots of twosomes – and no worries if you’re a ski & board mix. You’ll have 2 hours for your FastStart and the two of you will go back & forth with time on the Slope. Then you can each take 10% of your packages, even if you sign up for different packages. After the FastStart, special Family Packages from 12 to 48 lessons are available. And because we love teaching families how to ski & board, the Family Packages are 25% off! Do you have Family or Group discounts? We start at age 3. For ages 3-12, Our Kid 1/2-hour FastStart is $40. Single kid lessons are $55 each and we have a Kid 6-pack of lessons for $210 ($35 each). Will I fall a lot? Most people don’t fall, but we kind of like a few falls–to get rid of the worry of falling! Falling on the Endless Slope is so nothing – it’s like slipping on a super-soft living room rug. Yes, the weight limit is 220 pounds. Our apologies for that; it’s not by design but is a reality of the ski deck design and gear ratio. Can I have the same Instructor each time? Yes, our Instructors work the same schedule each week so you can keep the same Instructor over the course of your lessons. What if I have different lesson times and different Instructors. How do they keep track of my goals and progress? Starting with your first lesson, we create your Progress Card. Your Instructor will note your goal (if you have one – upcoming trip, catch up to your GF, etc), what you did each lesson and plans for skills to cover in the next lesson. Prepare to be stunned. 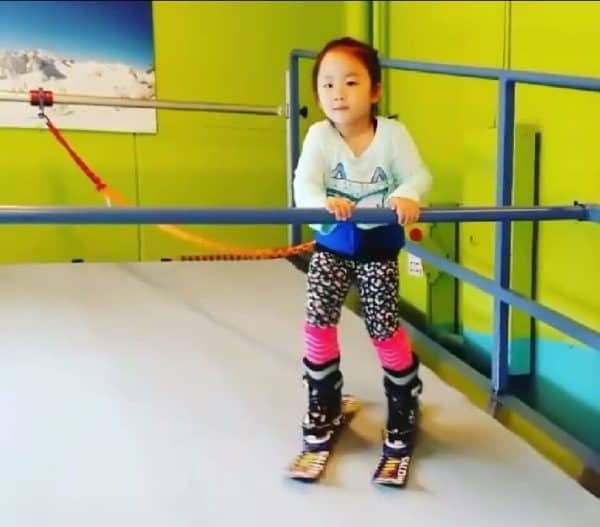 Your kids will take to this so fast you’ll wonder how you’re going to keep up with them on the slopes. All right here in San Francisco. Our expert instructors know how to communicate with your kids, whether they’re shy, playful, or apprehensive. We’ll show you the 1-leg parallel, to make that inside leg roll-over and create an edge just like the power leg. Its a funny thing; when the body identifies the “weak leg”, it won’t give over control. So you have to build and demonstrate that strength and then the rest of the body stops sabotaging your parallel turns, trying to drag you back into the wedge. We understand – we’ve all been there. We’ll give you muscle-memory for a dependable, solid parallel carve. We designed the Parallel-Pause skill just for you – although it’s kind of magical for everyone. It requires that you get your body perfectly positioned to pressure the sweet-spot of the skis, then you roll over onto your edges. And what a carve you’ll have! The one thing you can’t buy is time. Hit the mountain ready to enjoy the experience. You’re smart about everything you do, right? Why get black and blue from falling all day in lessons on the mountain? 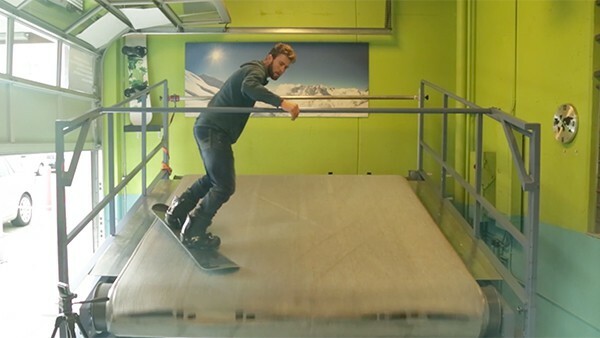 You can learn to ski right here in San Francisco – and much faster. You’ll be doing parallel turns (not the pizza ‘snowplow’) in your first lesson! 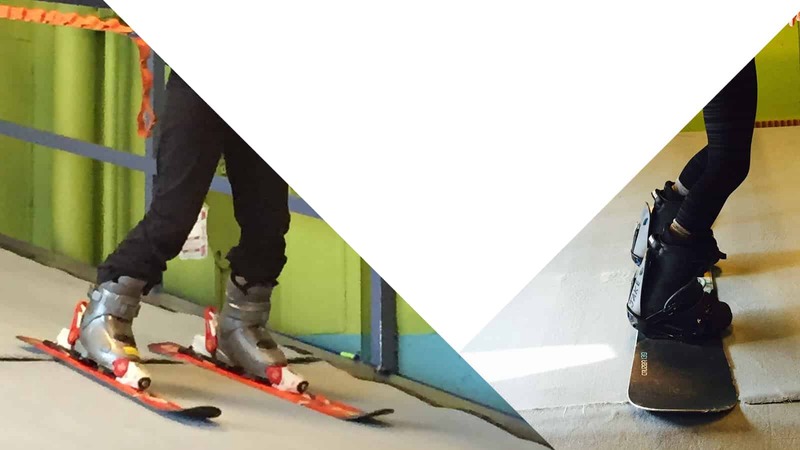 If you’re learning to snowboard, you’ll be connecting heel-toe turns in your first lesson. Sign up today for your quick start lesson.